- Since ancient Greek times, the owl has been the symbol of the goddess Athena and her great wisdom. Like the owl who can see through darkness, one with true wisdom will be able to see the Truth, even when it is obscured. 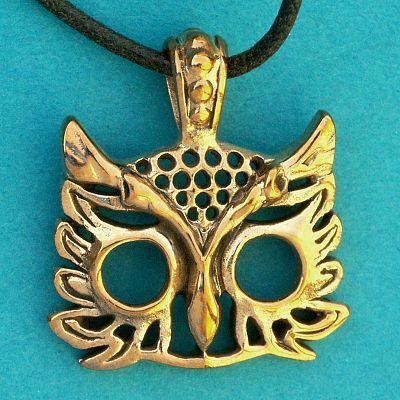 This owl pendant measures approximately 1" across, and hangs from a 33" long black cord. Made of bronze. Do you have any other questions about our Bronze Athena's Owl Pendant?